Sometimes we lose sight of who God is – The Great I Am!! That’s who He is! Our nation has faced political turbulence and shaking and we’re not alone in that….but He remains in control!!! He’s the One!! Everything in your individual world might be shaking- but He remains in control. Nothing ever takes Him by surprise or catches Him off guard! He’s the ONE! 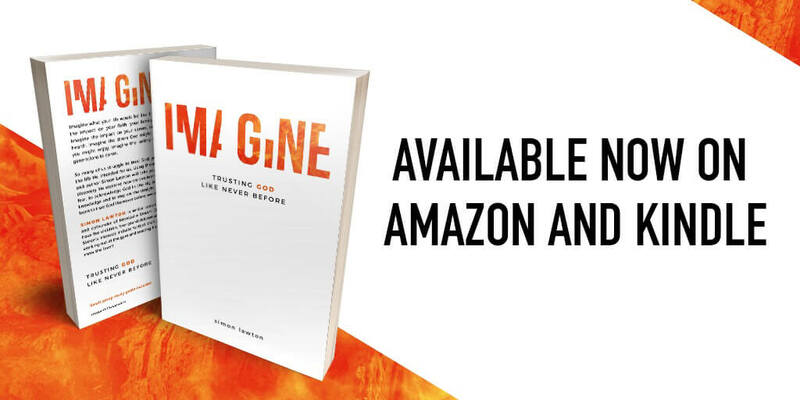 Can I ask you – is your perspective right? Do you get it?! He is THE ONE! He is the omnipotent, omniscient, omnipresent ONE!!!! 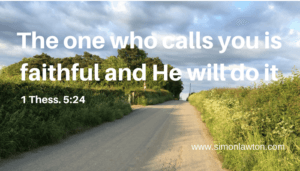 And of course – He is the one…..who has called you! Life is very much intended to be a ‘big adventure’ with Father God at the helm. I absolutely believe that if we will surrender our lives to Him and be partner with Him then we will enjoy the most amazing life there is. We have been uniquely shaped for a unique purpose and God will enable us to discover that if we will allow Him. What synergy there is when we discover & live out His call and purposes as we go through the seasons of our lives. During my journey I’ve thoroughly enjoyed my work in Boys Brigade, leading a youth group, coaching school football teams, running my own retail store, football chaplaincy, church planting, leading Christian camps and now our amazing Dream Centre. God knew how He had shaped me – it might not be your ‘cup of tea’ – but I have loved every minute of it. In every season of our lives there is a calling! In every season there is a calling!! There is a place where we can be fulfilled and fulfil God’s purposes on earth. Do you know what you are called to in this season? Do you trust Him enough to ask Him and then listen for His answer? When He comes calling how will you respond? I wonder how you react when Jesus comes calling? The TRAGEDY is that when we disobey – ultimately – we miss out. Can I encourage you to simply obey him. You never know where it might lead. Say YES to the small things and God will start to lead you into some BIG things that will blow your mind! We live in a world where loyalty & faithfulness is constantly being challenged and questioned. God has proved himself faithful in every way in my life. I was given up for adoption at 6 weeks. See my story here. Through victory & failure, trial, fears, difficulty, attack, sickness, bereavement & loss, threats – God has proved Himself absolutely FAITHFUL! He is faithful to all His promises and loving…. our belongings were transported in a horse box! God was faithful!! He provided in every way! 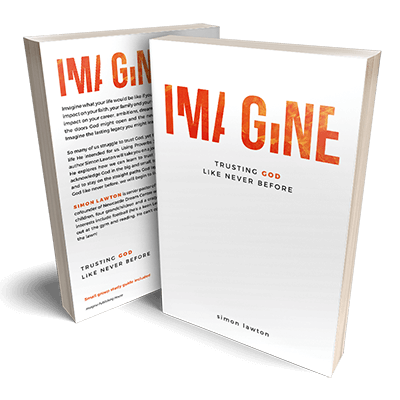 We have witnessed God’s incredible faithfulness over the past thirty years. We could tell you story after story of His incredible provision and protection. The story that is beginning to unfold at the Newcastle Dream Centre is one of Gods incredible faithfulness….. Food, clothes, coats, knitting, CAP Release course, Keys Detox, Adopt A Block, New Baby Essential etc. We are weekly seeing people rescued, restored and rebuilt!! YES!!! Gods faithfulness is amazing. He is faithful – the one who has called us IS faithful! Have this job with all its pressure – I can’t cope! Jonah – asked why him and did a runner! Moses said – ‘send someone else! Saul – was found hiding at his coronation! You’re in good company – but remember….. He knows you can do it…….He believes in you! He doesn’t look at the outside appearance or intellect – He looks at the heart. He loves to be glorified by using ordinary men and women to do great exploits. He uses the foolish things to shame the wise! I’m sure one day in heaven and they said – ‘I’ll confound them – I’ll use that Lawton bloke.’ Haha! I’ve learned in my life that if I will do everything I can – then that opens the door for God to do everything He can! So I pray, believe, fast, ask, seek, knock, give, obey…and then I TRUST Him to do it! Thanks for sharing your wisdom in this blog! YES…God is faithful…if we would only trust and believe! May God continue to bless the work of your hands! Thanks you so much Lucy Ann. God has been so good to me….and I’m still learning all the time. Hope life is good in San Diego! God bless you and yours! Thank you Abby & Neil. 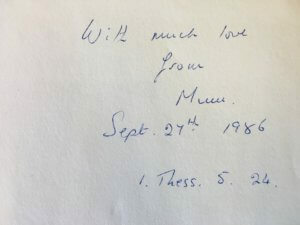 My mum (who died 9 years ago) would be amazed to think that those words she wrote in my concordance were the subject of a message, blog post and were being read across the world. Amazing how one thought in a gift at a birthday can bring such encouragement. Bless you guys in all you’re doing! Our God will honour your vision! Hi Kristina. Thank you for your encouragement and I’m so sorry to read in your comments that life has been such a struggle for you and so discouraging at times. I just encourage you to hang on to God for dear life. He has a way of turning things around. He is the God who can suddenly turn darkness into light. I’m praying for you.